There’s been another DIY addition to my E Gallery Wall 🙂 I’ve been wanting to do a large version of a scrabble letter for some time now, so I finally got to it! 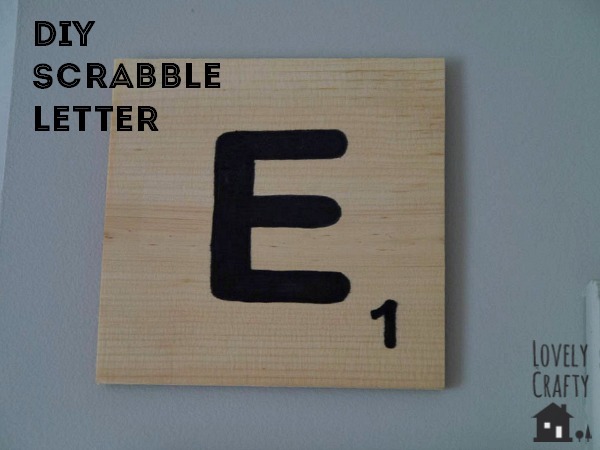 I used a scrabble-ish font called “Scramble” from fontspace.com, but you can use any scrabble-like font you like. I bought a 5″ x 5″ plain pine wood square from the wood crafts section of Michaels. 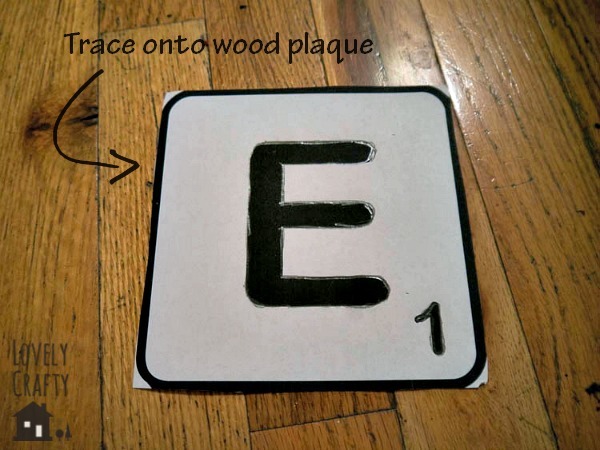 It’s very soft, so I decided to print my letter out and just trace over it on top of the wood while applying enough pressure to leave an outline. Then I simply filled in the shape with a regular ol’ Sharpie. Easy peasy. 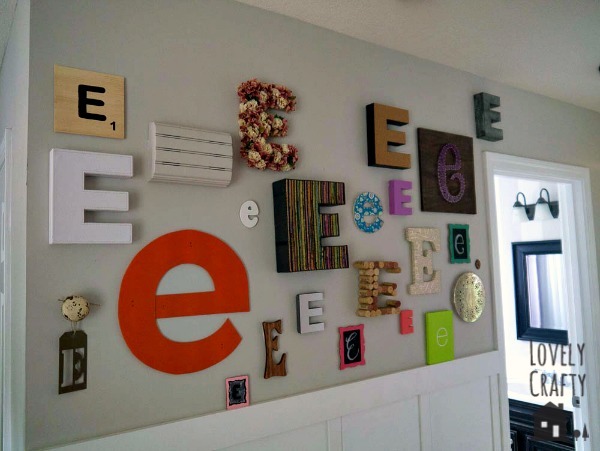 Several people have mentioned to me that they are now starting their own letter gallery wall, and if you are one of those people, I would LOVE to see it. Send me pictures at lovelycraftyhome@gmail.com. This is really cool Rachael! 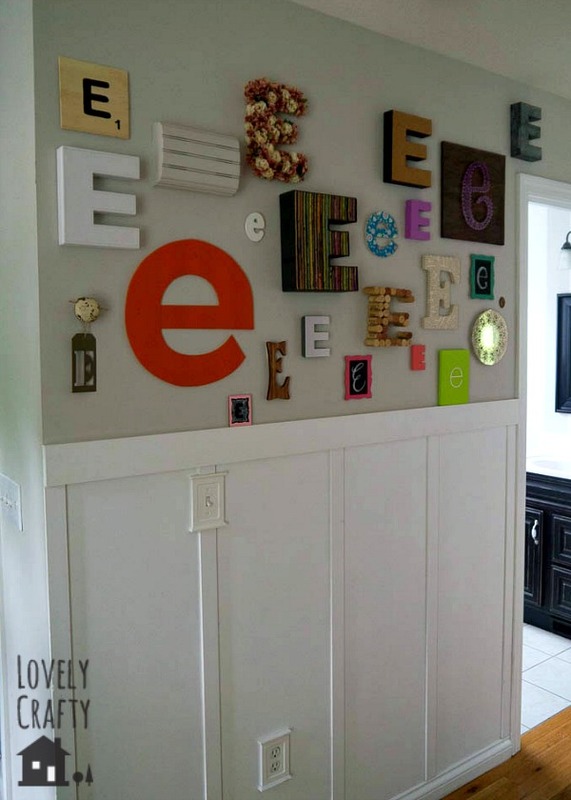 I think it’d be fun to do a wall of just these scrabble letters. Thank you! Yes I have seen people spell things like “Home” and “Family” which looks really neat. I think it would be cool to put up all the family names in scrabble style if it can be done! So cute! The scrabble tile and cork are my fav. I love decor that is fun and personal!